for the weekend of August 17th and 18th. When you visit an open house remember this. The listing agent works for the Seller. That means their obligation is to them. Literally. Their job is to get the best deal for the Seller. Just because they are friendly, nice and smiling, doesn't mean that your best interests will be theirs! When you visit an open house this weekend, do remember that the listing agent works for the seller. If you are inclined to make an offer on a property you see, even at an open house, level the playing field and get representation. It will not cost you more. Call me if I can help you with your home purchase. 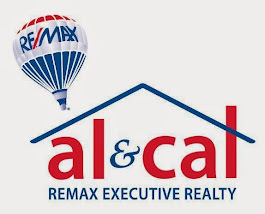 A certified buyers agent working in the area for the past 25 years, I have the experience and knowledge to assist you in all aspects of your transaction! Hey there! Keep it up! This is a good read. How long can prices rise before no one can afford to buy a house? In a nutshell, that is the basic question that is niggling at the back of our collective subconscious when we talk about the real estate bubble. Thanks for this update to find the 55+ Community in Massachusetts and make them in single organisation.